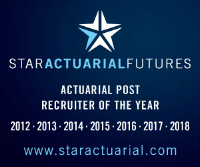 This is a fantastic role for a qualified non-life actuary with good knowledge of pricing and data manipulation techniques to join a dynamic team, performing GLM modelling to price for personal lines products. Having a deep involvement in the technical delivery and ongoing management of risk pricing models, you will demonstrate creative thought leadership in a modelling approach. You will also monitor claim trends and adequacy of other assumptions in the pricing models and suggest improvements where necessary. A skilled user of EMBLEM, the successful candidate will also have expertise in using GLM techniques to price. Knowledge of SQL or any other data manipulation software is an advantage.